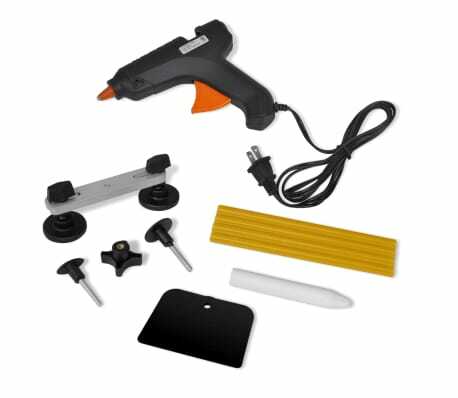 This reasonably priced car dent removal set is essential tool set for car owners and has a multipurpose design. This car dent set safely repairs dents, dings, body creases and hail damage almost everywhere on any vehicle without affecting the original factory paint finish. It saves money and is a great alternative to costly professional dent repair. 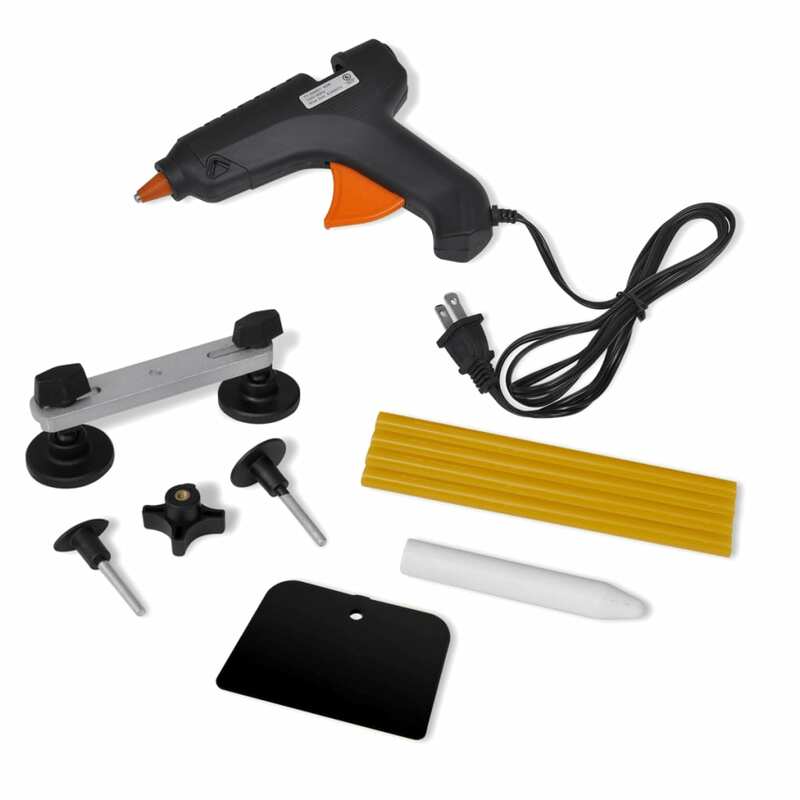 The car dent removal set includes all the necessary tools to remove dents: 1 glue gun with 4 glue sticks, 1 scraper, 1 knockdown tool and 1 repairing bridge with accessories.